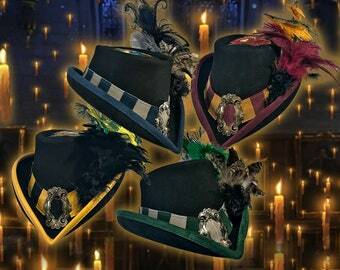 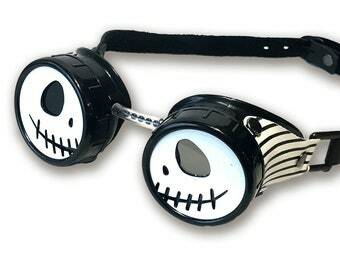 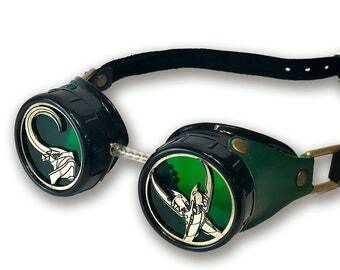 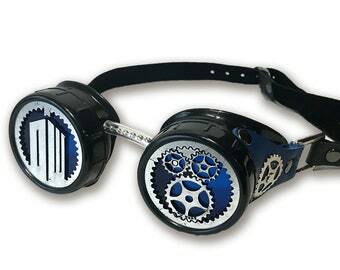 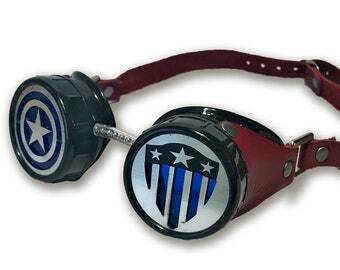 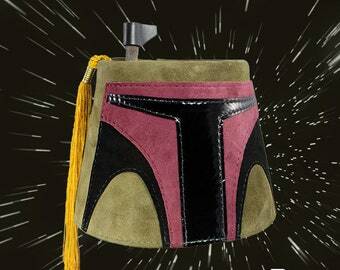 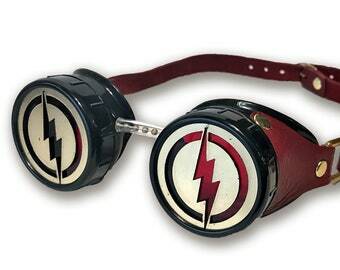 Show your House Pride with these goggles, decorated with leather sides in your House Colors and a filigree decoration! 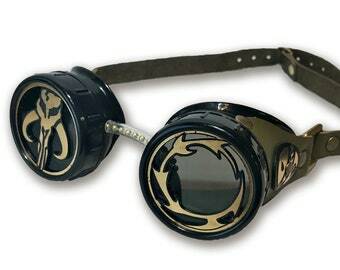 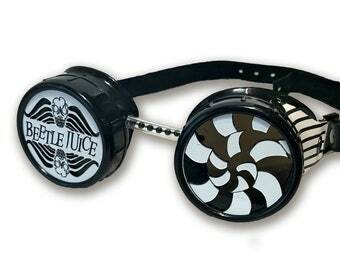 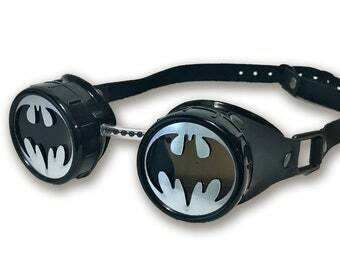 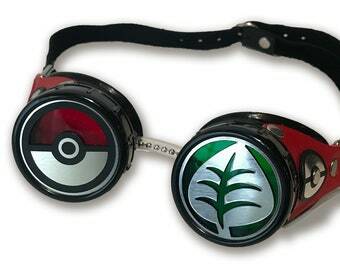 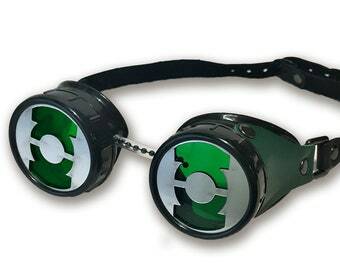 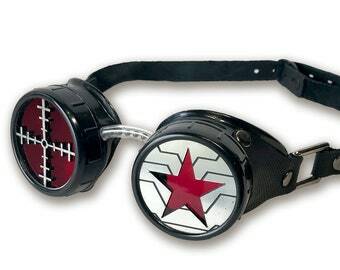 These goggles come with laser-cut inserts overlaying colored lenses and laser-cut plastic details. 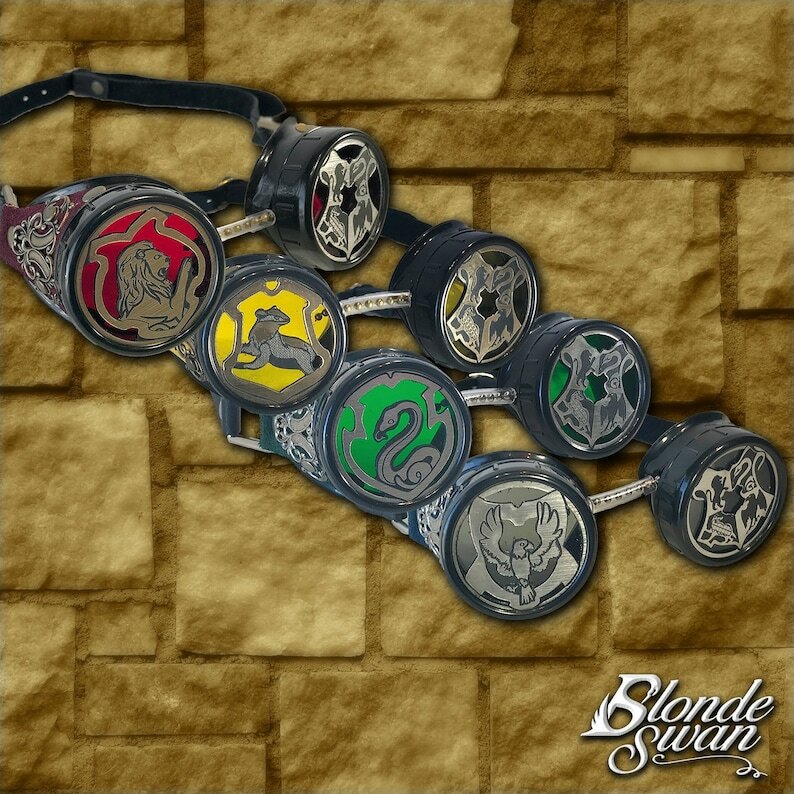 The comfortable, adjustable leather strap allows for you to decorate your favorite hat or even wear them! 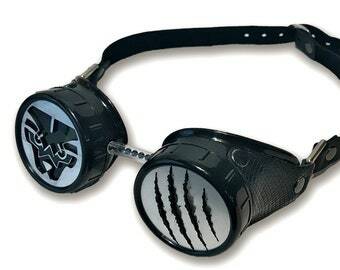 Goggles are One Size Fits All! 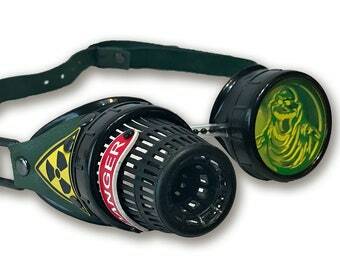 Please allow 3-4 weeks before order ships.